Barcelona & Vienna – 27 February 2017 – DIMOCO today announces the release of the 2017 publication of “The Future of Digital Payments in Europe” white paper at Mobile World Congress. Developed in a joint effort between DIMOCO and Juniper Research, this year’s report marks the fourth annual publication of DIMOCO’s white paper to provide comprehensive insights into the European digital payment market. The publication presents the primary factors shaping industry growth and assessing the opportunities presented by emerging payment mechanisms, including carrier billing, credit and debit cards, SEPA direct debit and SEPA credit transfers. Insights also include a series of recommendations for current and prospective players across the payments value chain. In 2015, the value of mobile and online physical, virtualised and digital goods sales in Europe passed the €500 billion mark for the first time, reaching €570 billion. Overwhelmingly, the momentum for growth comes from the mobile devices becoming primary mechanisms for the access, payment and (for digital goods) delivery of services. With the increasing liberalisation of the European payments market, enshrined in key legislation such as PSD (Payments Service Directive) and PSD2, the traditional banking monopoly of offering SEPA direct debit services has eroded, allowing payment service providers to enter the space. Show attendees can collect a copy of the publication at the DIMOCO exhibition stand at the Mobile World Congress 2017 in Barcelona, February 27 to March 2, at the App Planet Hall 8.1, stand #8.1A67 or download a copy. 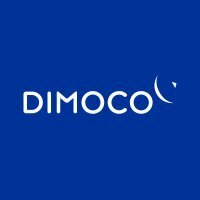 DIMOCO unites three business entities under one umbrella brand – DIMOCO Carrier Billing, DIMOCO Mobile Messaging and DIMOCO Payment Services. DIMOCO Carrier Billing is a European-wide regulated payment institute for carrier billing. The Fintech Company is a trusted partner of local and global mobile networks and enables almost 1 billion European subscribers to purchase goods and services from merchants and aggregators with their mobile devices which are charged via the operators’ billing system. DIMOCO Messaging provides carrier-grade, high quality messaging products, enabling clients to communicate to their customers on a truly global scale. DIMOCO leverages relationships with mobile network operators and in-country partners to offer clients direct connectivity while combining local market expertise with fast message delivery. DIMOCO Payment Services is a payment service provider that processes payments, including card, online bank transfers and SEPA direct debit, for eCommerce merchants. DIMOCO offers a combination of payment methods, tailored industry-specific solutions, transaction risk management tools and flexible value added services.